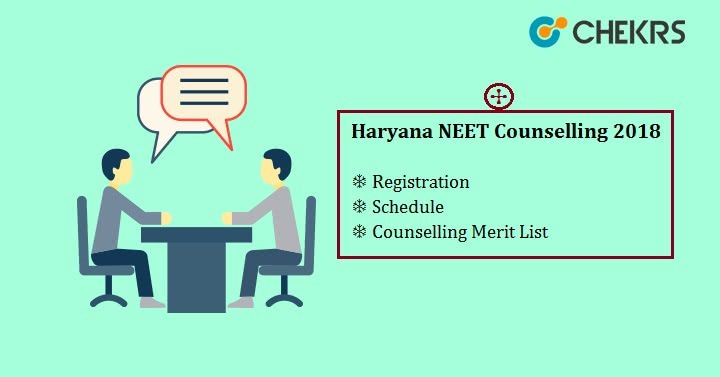 Haryana NEET Counselling 2018: The counseling is going to start the second week of July. All the NEET qualified students and permanent residence of Haryana can apply for the Haryana MBBS/BDS Counselling. Pandit Bhagwat Dayal Sharma (Pt. BD Sharma) University of Health Sciences, Rohtak, (UHSR) will be responsible for conducting the counselling for medical courses in Haryana. Haryana MBBS/BDS Counselling process will be held for various government & private MBBS/BDS colleges in the state of Haryana. Approximately 900 MBBS and 850 BDS seats are available in Haryana medical colleges for Counselling. It will be organized for 85% state quota seats of private & government colleges. Counselling will be done on the basis of NEET 2018 results. UHSR will announce the counselling schedules very soon. To get all the information related to Haryana NEET UG counselling, go through this article. We are providing here the expected dates of Haryana NEET Counselling. This table is based on this year’s counselling dates. Only NEET qualified & bonafide residents of Haryana can register their name for Haryana MBBS/MDS Counselling. Haryana Medical Counselling Registration will start from 2 weeks of July. Registration will be done through offline mode only. It is compulsory to get registered to participate in counselling process. Based on NEET 2018 results, candidates will be called for counselling. Candidates have to pay the counselling fee to get registered. Candidates can choose their choice of colleges. On the basis of NEET Rank, seat availability & filled choices, seats will be allotted to qualified candidates. Candidates have to report at the allotted colleges and pay the admission fee to confirm their seats. In case, someone failed to report at the college, then their admission will be canceled. Pt. Bhagwat Dayal Sharma University of Health Sciences (UHSR), Rohtak will prepare Haryana NEET Merit List based on NEET Results. It contains the name of those candidates who are permanent residents of Haryana & have required minimum percentile. Candidates whose name appears in the merit list will be called for counselling process. The cutoff is the minimum marks required to get admission in colleges for pursuing medical courses. UHSR, Rohtak will release the NEET 2018 Haryana Counselling Cutoff. It varies according to the reserved category, seat availability, etc. After mop-up counselling round, the cutoff will be declared by the authority of Pt. BD Sharma University. It will be declared for state quota & All India Quota.